High mountain tea refers to any tea grown in the alpine tea zones, higher than 1000m above sea level in Taiwan. One reason for such teas to be preferred is the belief that the air at this altitude is less polluted. The name means Oriental Beauty. 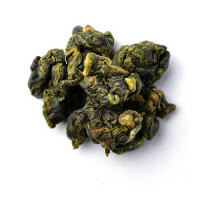 Also known as White Tip Oolong Bai Hao Oolong. This tea is tippy (the leaves frequently have white or golden tips), with natural fruity aromas, a bright red appearance and a sweet taste. 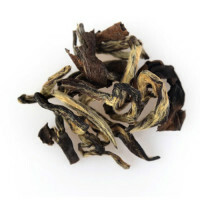 Grown in the north-central region of Taiwan, this tea is very similar in appearance to Alishan teas, and is often considered to be one of the best teas from Taiwan. It is grown at an elevation above 1,000 metres, with Dayuling, Lishan, and Fusou being the best known regions and teas of Lishan. Dongfang meiren tea (oriental beauty tea), also marketed as white tip oolong tea, is a heavily fermented, non-roasted, tip-type oolong tea produced in Hsinchu County, Taiwan. Production:The oriental beauty is 70% fermented, and hand picked 1 bud with 2 leaves of Chin Shin Da Pan to produce the high Class tea of oriental beauty. The tea leaves with white tip, so it is also called white tips tea. The more white tips with tea leaves, the higher the price of teas is. The tea gardens of oriental beauty teas are located in the elevation of about 300~800 meters, and have enough humidity and sufficient sunshine, so there’s no pollution for the growth of the tea. And the tea only have summer tea, so it is rare in production. Characteristics:It tastes like black tea, but it has unique honey aroma and the tea brew is bright amber color. The most interesting thing about the Oriental Beauty is the tea leaf must be bit by the little tea bug . After being bitten, the green leaves lose photosynthetic ability and transform into a golden-yellow color. 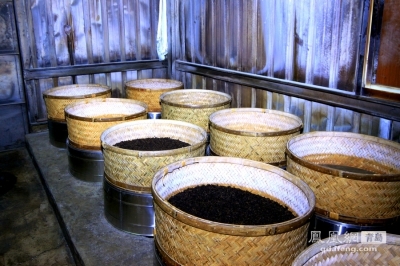 Only after this process, does the Oriental Beauty Oolong possess its unique honey aroma. The birthplace of Hong Shui oolong is Lu Gu, Nan Tou, in central part of Taiwan. 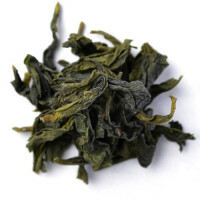 This region inherits their oolong processing skill from Anxi, Fujian Province. Evenly and tightly pearl tea leaves. The dry leaf in brick color is with red border. The tip of leaf and the vein is shown as the reddish. The red spots can be also found between the surface and the petiole. The infusion is amber in color. 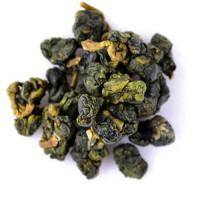 This batch of Red Water oolong was from a plantation in Dong-Ding, which has very similar weather and elevation conditions to Wu-Yi. Dong-Ding is about 700m high, and the average elevation in Wu -Yi is 650m. Both places are at approximately the same latitude, but different soil conditions. 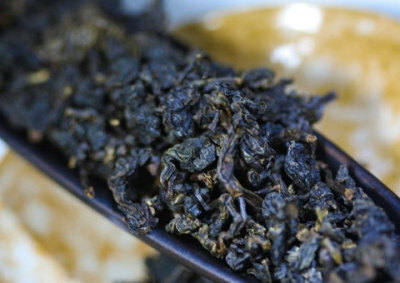 Red Water Oolong was made from a traditional cultivar from Wu-Yi hundreds years ago. Same high oxidation. While you can certainly find "Wu-Yi" in Red Water oolong, somethings are different: the Red Water Oolong has an intense sugarcane-y sweetness in the aroma and good roundness in taste. The different weather patterns, temperatures, altitudes and soil ultimately result in differences in appearance, aroma and flavour of the tea grown in Taiwan. In some mountainous areas, teas have been cultivated at ever higher elevations to produce a unique sweet taste.